Excel offers some very helpful features to work with dates. One of these is the dynamic calendar grid. We can have a start date that is the start of the month and create a dynamic calendar grid. The WEEKDAY and CHOOSE functions with conditional formatting help us to create this. In this tutorial, we will learn how to create a dynamic calendar grid in Excel. Here, we are using the CHOOSE and WEEKDAY functions. This formula calculates the Sunday before the first day of the month. It does so by using the CHOOSE function. It rolls back to the right number of days to the previous Sunday. CHOOSE allows random values for each day of the week. 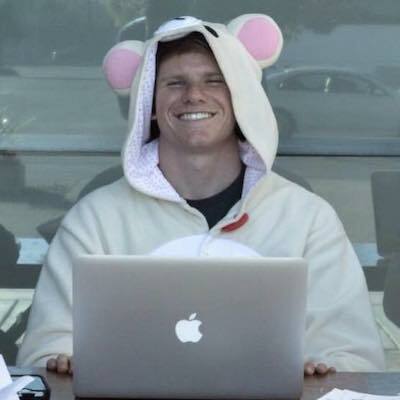 This feature rolls back zero days if the first day of the month is a Sunday. It adjusts the roll back for the rest of the days. After the first day is extracted, the other formulas in the grid adds one to the previous date. It checks the cell on the left for a value. If it does not find a value, it pulls a value from the rightmost column in the row above. We assign this value as a mixed reference. We do this to ensure the column is locked as the formula is copied throughout the grid. 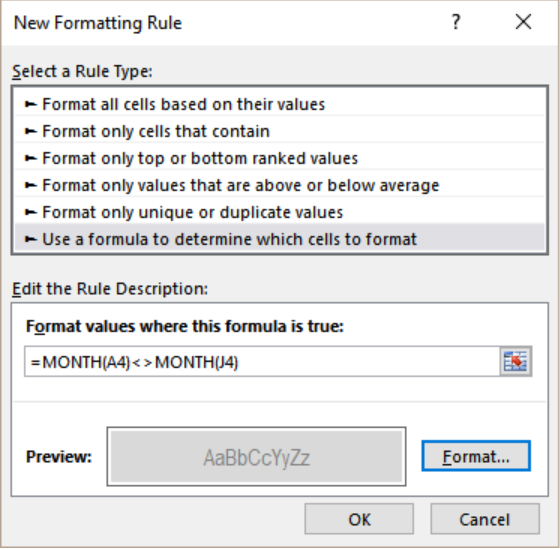 The same formula is used in all other cells. The following example contains a start date. It is in cell J5. From this value, we will create a dynamic calendar grid in column A to G.
Go to the View tab on the ribbon. Uncheck Gridlines. Next, we need to select cells A3 to G9. Go to the Home tab on the ribbon. Click on Borders>All borders. Click on cell A2. Assign the formula =J6. Right click on A2. Select Format Cells>Numbers>Custom. On the Type box type mmmm yyyy. Click Ok. Select A2 to G2. From the Home tab select Merge and Center. Enter the weekday abbreviations in cells A3 to G3. Select cells A4 to G8. 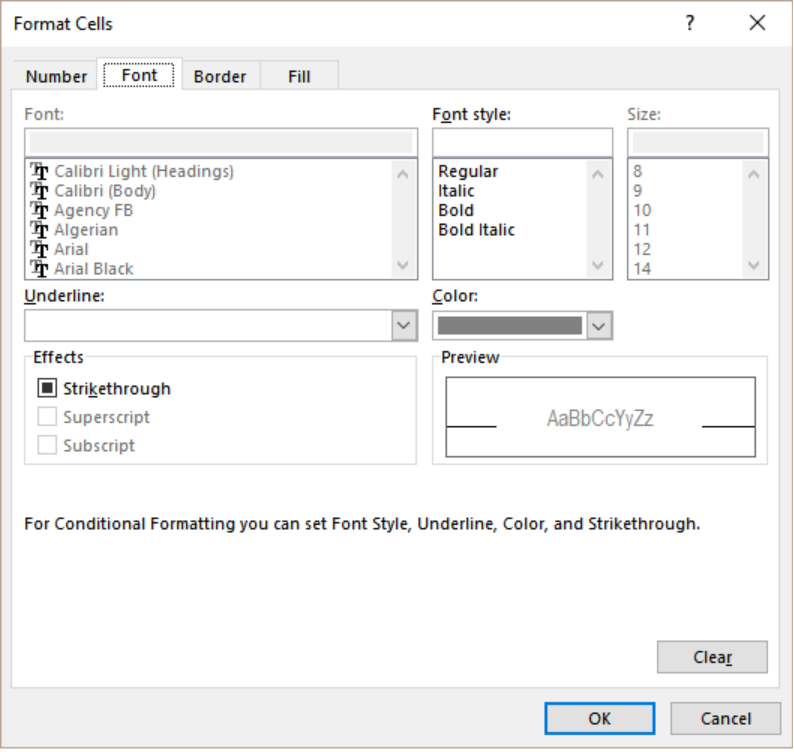 Right click and select Format Cells>Numbers>Custom. On the Type box type d. Click Ok.
Go to cell B4. Apply the formula =IF(A4<>"",A4,$J6)+1. Drag it to the remaining cells in the calendar grid. Select cells A4 to G8. 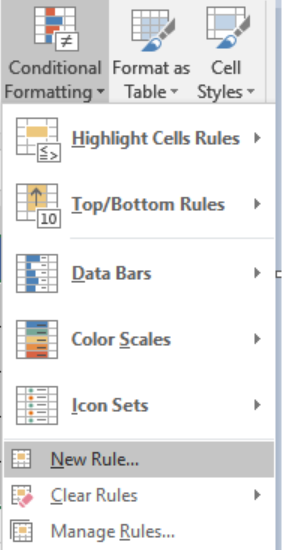 From the home tab in the ribbon, go to Conditional Formatting. Next, we need to click on New Rule. Click the Format values where this formula is true box. On the formula box, assign the formula =MONTH(A4)<>MONTH(J4). Click the Format tab near the preview box. Next, we need to go to Fill>Background Color and select the color we want to highlight in. To format the current date follow steps 10 to 14. 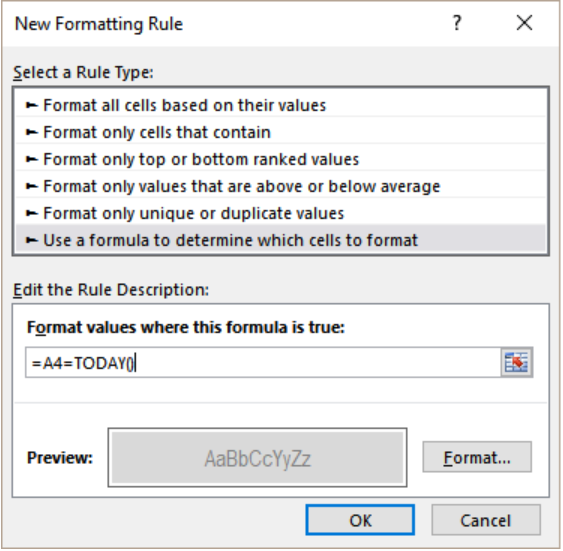 Change the formula to =A4=TODAY(). We can create a calendar that updates automatically based on the current date. To do that we need to use the formula =EOMONTH(TODAY(),-1)+1 in J6. This formula fetches the current date with the TODAY function. Later, it gets the first day of the running month using EOMONTH. By replacing TODAY() with any other date, we can build a calendar in another month. I created a form with grid lines and when I print it the grid lines do not print. Need to insert a map and overlay it with the grid from excel so that pie charts or graphs can be put into individual grids on top of the map. I also need to make the grid squares much larger and the grid squares need to be fixed once the size of squares as appropriate. 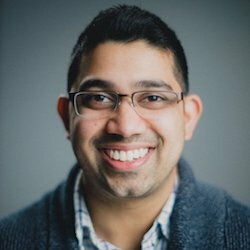 I am attempting to format my filter page by creating a dynamic table or border around my data that changes as the data changes. I would also like the remainder of cells to not have any grid lines and be blank so the table shows up more.